Gothic came literally out of nowhere in 2001, and, in my view, set a whole new standard for single-character hiking simulators, aka “The Piranha Bytes RPG”. Funny how the developers didn’t even label it as an RPG at its release. When talking about why Gothic was something fresh and unique when it was published, it’s definitely important to start with the general theme and story, since it’s essentially “Escape from New York… with swords!”. You are just a bloke, who’s nameless for all intents and purposes because nobody even lets you introduce yourself. You are thrown into a prison mining colony surrounded by a deadly one-way-entry forcefield, where the prisoners managed to rebel and take over the whole establishment. After that you are beaten senseless (“baptized”) by a bunch of cops and left on your own. The premise in Gothic is a very good hook because it presents a mix of low key matters with a fairly unique setting. It also manages to uphold that to the end, as even though bigger and more fantastical events start happening, your character’s only motivation is basically to get the hell out of the colony. The general writing style, which would stick with Piranha Bytes henceforth, also emphasized the dichotomy between the vulgar and the fantastical very well, as you’d be coming across various really colorful characters, who are on the one hand rather typical – pompous mages, brutal thugs, dumb peons -, but on the other extremely believable and amusing. But Gothic’s biggest strength was not just showing you this strange prison colony, but also letting you visit its every nook and cranny. The world of Gothic was simply massive, as well as beautiful, with tons of places to check out, beasts to murder, secret caverns to penetrate and ancient tombs to raid. And above all, it was hand-crafted, full of verticality and almost without barriers, so you could just go off and explore whatever you wanted – provided you could survive. And that was where Gothic was tricky, because surviving was a lot harder than in most games. You know it isn’t fooling around when your first opponent is a turkey that can horribly murder you in a few hits. And it was this ridiculous brutality that gave the game most if its unique charm. It simply didn’t cut you any slack. If you wanted to get somewhere, you had to work for it, and the simple thought that straying off the beaten path could mean certain death made every step into the wilderness something special. Especially at night. Through a forest. With no map. The key to thrive was to quickly get better gear, beg people to train you in combat and master the fighting system, which I consider one of the best ones in Action-RPG history. At first it seems clunky and unresponsive, but once you get accustomed to it and take on harder opponents, every fight becomes an adrenaline-pumping effort where every mistake could mean death. 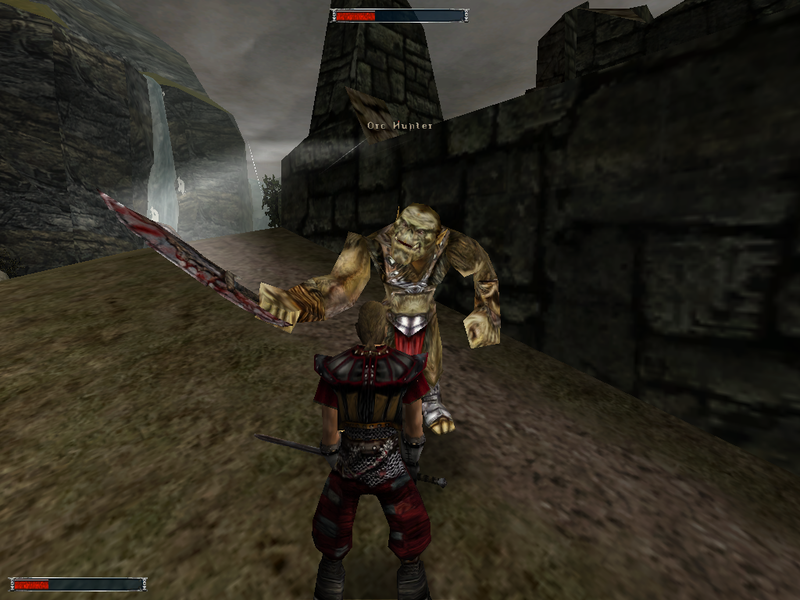 Various enemies would also fight in different ways, and force you to adapt new tactics. The final outstanding quality of Gothic was its character system and how it tied into the game and story themselves. Sure, you could gain massive XP from monsters and quests, but once you leveled up, essentially nothing happened. You only got a bunch of skill points that required visits at specific trainers that would teach you, but only to the best of their capabilities – if they even respected you in the first place. Furthermore, while your character started as a classless bloke, to actually acquire a specific class you needed to join one of the three very distinct factions, each of which had its own agenda and quests. Not only was this very neat because tying the leveling to the narrative was a nice throw-back to P&P RPGs, but also because it piled up many layers of choices and consequences. You might agree with one faction, but joining it will prevent you from learning something from another, or completing quests for the third, etc. I’d lie if I said that I wasn’t not an obnoxious fan of Piranha Bytes’ RPG formula. I remember how amazed I was by the openness of the world, the feelings of seclusion and the brutality of the entire setting in just about all aspects when I played it for the first time. 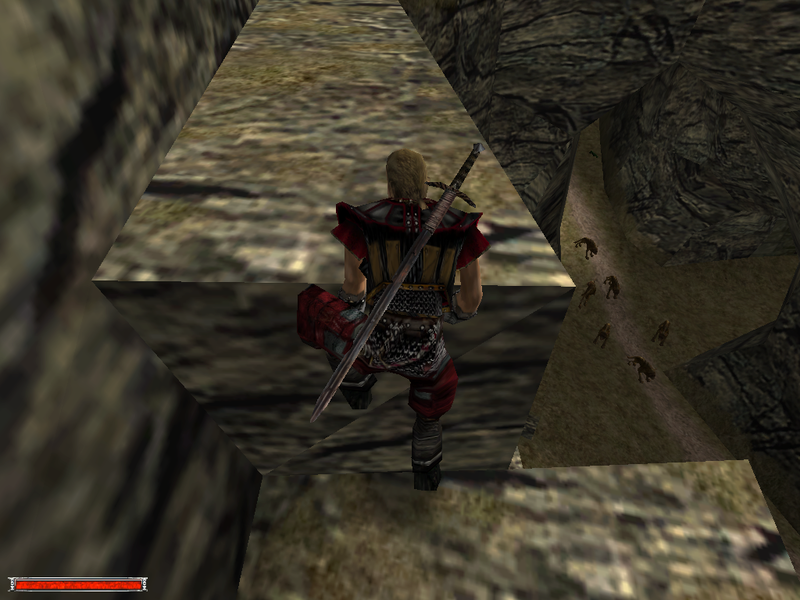 I also remember how glad I was when they took all that and made it even better in Gothic II. After that both the series and the developer would start meandering, but no matter what happened, it would never take away the first two games from me.